This beautiful hardcover collector’s book with DVD is based on Duirwaigh’s first inspirational mini-film of the same title, which caused an unexpected international sensation. The book contains larger images of the art used in the film with glorious, lush detail. 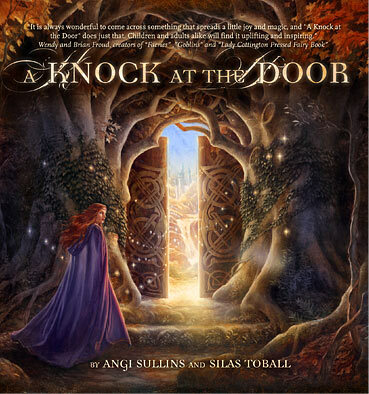 The stunning works of art from a wide range of leading contemporary fantasy artists are combined with inspiring text that leads the reader back to the magical place inside themselves. A Knock at the Door takes us to the beginning and end of every journey; a place of wonder and innocence, but above all a place of remembering – to the most magical secret place of all – the place of believing. A Knock at the Door makes a wonderful gift for friends and loved ones in need of a message of encouragement and inspiration. Brian and Wendy Froud, creators of Faeries, Lady Cottington’s Pressed Fairy Book and Goblins! Right now we are out of stock, but you can get it here on Amazon for the time being. Wanna thrive up your life? I'll send you some MUSE JUICE, as my gift to you!